We spend one third of our lives sleeping, but how many of us have taken the time to learn what’s inside our mattresses? 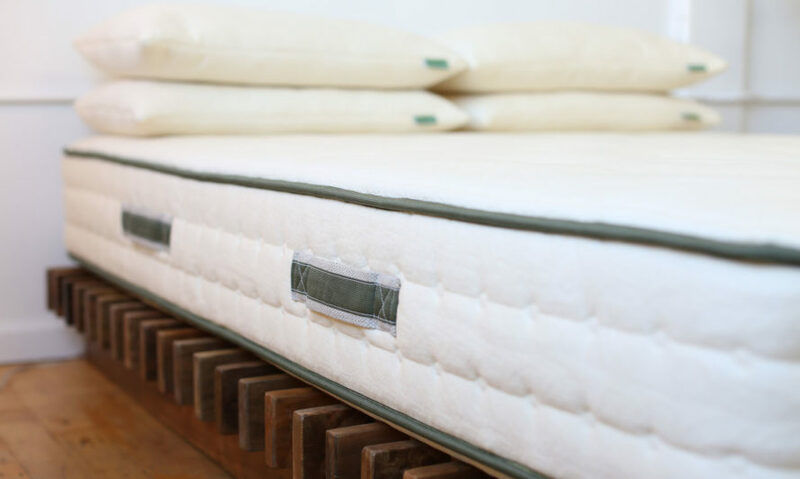 Studies have found that conventional mattresses contain toxic levels of volatile organic compounds that could be the source of many ailments, including chronic allergies, asthma, sleep problems, endocrine problems and even cancer. 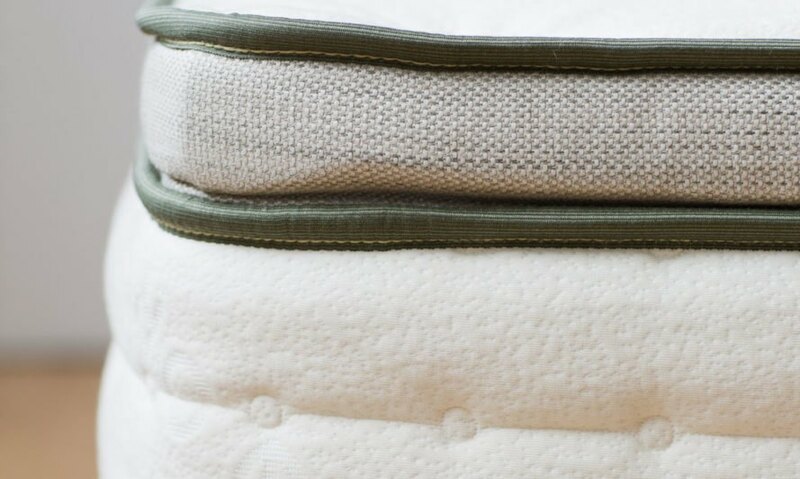 And once traditional mattresses bite the dust, their synthetic materials resist degradation, resulting in an enduring toxic legacy that would give anyone insomnia. If you’re looking for a new mattress and really want to rest assured, here’s your chance to win the best sleep of your life. We’re giving away your choice of an Avocado Green Mattress made from 100 percent natural latex harvested from tree-­tapped and sustainable sources, 100 percent natural Joma® New Zealand Wool, and certified organic cotton. This completely non­toxic, luxurious mattress, made with chemical-free, biodegradable, and compostable materials, is far better for both you and the planet. Win your choice of an Avocado Green Mattress, Standard or Pillow-Top, in your preferred size: Twin, Twin XL, Full, Queen, King, or California King. Contest open only to residents of the continental U.S. Handmade in sunny California, the Avocado Green Mattress is all about luxury and transparency. 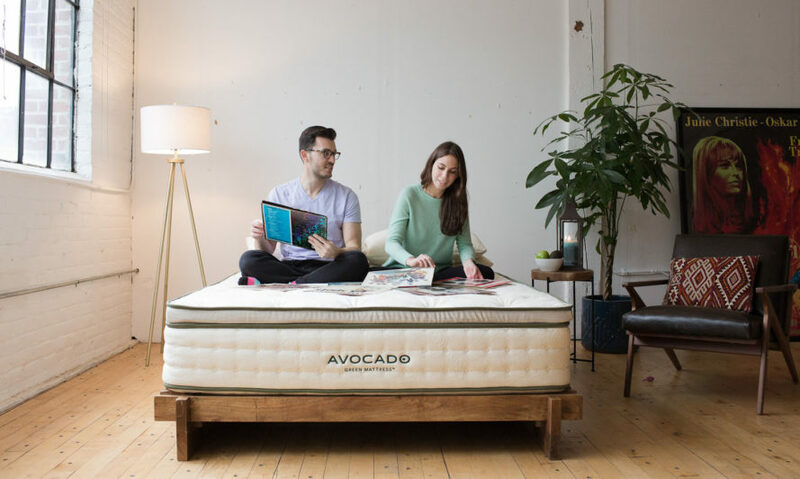 Using 100 percent natural hydrated silica as a fire barrier, the Avocado isn’t filled with the dangerous flame retardants or petroleum­-based foams that traditional mattresses contain. Each mattress is made to order and hand-tufted without chemical adhesives, formaldehyde, heavy metals, or other toxic substances. Made with natural and organic materials, the Avocado’s eco-INSTITUT®-certified, chemical­-free design is surprisingly more durable than synthetic materials, nor does it come with that unpleasant, chemical odor most new mattresses carry. And the natural latex, natural Joma® New Zealand Wool and GOTS-­certified (Global Organic Textile Standard) organic and pesticide-free cotton make this mattress a healthy and sustainable choice. Wool and cotton also naturally regulate temperature and moisture wicking, giving the Avocado mattress superior insulating and cooling properties. Part of Avocado’s hybrid design includes a support layer filled with up to 1,303 ergonomic, individually ­pocketed support coils. This allows for cooler, more durable support than standard foam mattresses. Made from recycled steel, this support system is tuned to three strategically positioned comfort zones that provide incredible support to the hips, back and shoulders. There’s never any need to flip an Avocado mattress – just rotate it. The Standard Avocado Green Mattress is ideal for back and stomach sleepers, characterized by a gentle, yet perfectly firm feel. Its 11-inch-thick base delivers a balanced level of firmness, comfort and support to create a natural sleeping environment. If you want even more luxury, you can instantly upgrade to a plush European-­style feel when the mattress is topped with the optional Pillow­-Top. Its extra 2­-inch layer of 100 percent natural Dunlop latex rubber foam is perfect for side and back sleepers, athletes, and those in need of intense pressure relief. If you aren’t the lucky winner in this giveaway, don’t fret. The Avocado is relatively affordable for a luxury mattress, starting at $959. Each one comes with a risk-free 100-night sleep trial, 10-year warranty, free shipping and returns, and financing with rates as low as 0% APR. For an extra $99, the company will send someone over to set up your new bed for you. Enter above for your chance to win, and dream of sleep in the lap of luxury. This is my DREAM mattress! Wish I could be your spokeswoman! Over the past year I have tried to step up in my efforts in living a simpler, "clean living" life. This mattress would not only fit into that life style but it would free me from the horrible, duct taped mattress that is infesting my bedroom now. Please help and set me free :). Great contest! Thanks! We need to go to a more sustainable lifestyle and stop the building of obscene in your face Mac Mansions. Our resources are not infinite and there is NO plan B for us on this Planet that will soon look like the Moon if we continue the trend. I would LOVE to WIN this mattress because, manufactured in the United States, non-toxic and a Luxury Mattress! I deserve some luxury in my life, because I'm worth it! Great contest and wonderful looking bed. Thanks for posting! Hope I win!! e spend one third of our lives sleeping, but how many of us have taken the time to learn what's inside our mattresses? Studies have found that conventional mattresses contain toxic levels of volatile organic compounds and could be the source of many ailments, including chronic allergies, asthma, endocrine problems and even cancer. Not to mention the fact that once traditional mattresses bite the dust, their synthetic materials cannot be broken down. That's enough to cause anyone to have insomnia. If you really want to rest assured, here's your chance to win the best sleep of your life. We're giving away an Avocado Green Mattress made from 100% natural latex harvested from tree-­tapped and sustainable sources, 100% natural Joma® New Zealand Wool and certified organic cotton. This completely non­toxic, luxurious mattress is far better for both you and the earth, made with only chemical-free, biodegradable, and compostable materials. Handmade in sunny California, the Avocado Green Mattress is all about luxury and transparency. Using 100% natural hydrated silica as a fire barrier, the Avocado isn't filled with the dangerous flame retardants or petroleum­-based foams that traditional mattresses contain. Each mattress is made to order and hand-tufted without chemical adhesives, formaldehyde, heavy metals, or other toxic substances. Using 100% natural materials with no synthetics or blends, the Avocado's eco­INSTITUT-certified, chemical­-free design is surprisingly more durable than synthetic materials and it doesn't come with that strong odor most new mattresses carry. The 100% natural latex, natural Joma® New Zealand Wool and GOTS­certified (Global Organic Textile Standard) organic and pesticide-free cotton make this mattress a sustainable, biodegradable, and compostable choice. The Standard Avocado Green Mattress is ideal for back and stomach sleepers, characterized by a gentle, yet perfectly firm feel. Its 11 inch thick base delivers a balanced level of firmness, comfort and support to create a natural sleeping environment. Wool and cotton are also naturally temperature regulating and moisture wicking. 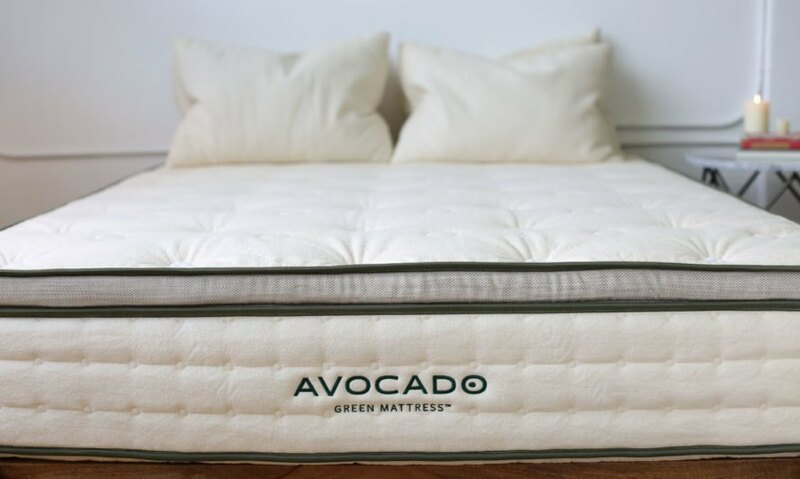 Just like the Bedouins wear wool in the desert, the Avocado mattress is designed with the utmost insulating and cooling properties. If you want to feel even more luxurious, you can instantly upgrade to a plush European-­style feel when the mattress is topped with the optional Pillow­Top. Its extra 2­inch layer 100% natural Dunlop latex rubber foam is perfect for side and back sleepers, athletes, and those in need of intense pressure relief. If you aren't the lucky winner in this giveaway, don't fret. The Avocado is comparably affordable for a luxury mattress, starting at $959. Each one comes with a risk-free 100 night sleep trial, 10 year warranty and free shipping and returns. For an extra $99, they'll come to your home and set it up for you. We spend one third of our lives sleeping, but how many of us have taken the time to learn what's inside our mattresses? Studies have found that conventional mattresses contain toxic levels of volatile organic compounds that could be the source of many ailments, including chronic allergies, asthma, sleep problems, endocrine problems and even cancer. And once traditional mattresses bite the dust, their synthetic materials resist degradation, resulting in an enduring toxic legacy that would give anyone insomnia. If you're looking for a new mattress and really want to rest assured, here's your chance to win the best sleep of your life. We're giving away your choice of an Avocado Green Mattress made from 100 percent natural latex harvested from tree-­tapped and sustainable sources, 100 percent natural Joma® New Zealand Wool, and certified organic cotton. This completely non­toxic, luxurious mattress, made with chemical-free, biodegradable, and compostable materials, is far better for both you and the planet. Enter above for your chance to win and you'll be sleeping in the lap of luxury in no time.